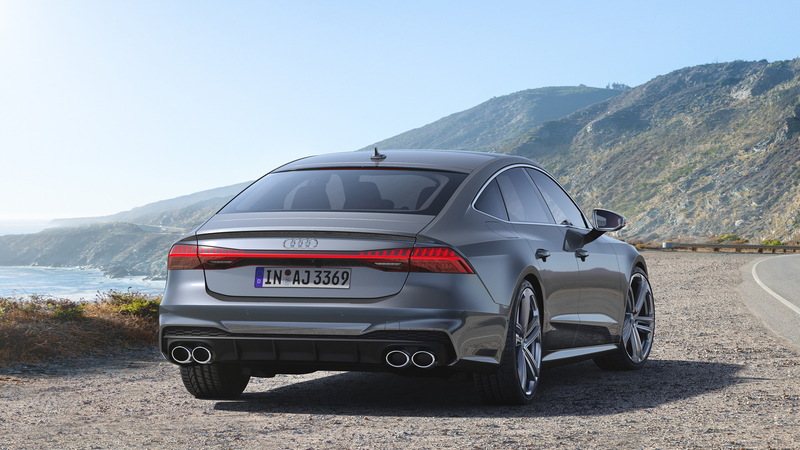 Audi has finally added spicier S versions of its redesigned A6 and A7 Sportback that launched last year, and the wait has definitely been worth it. As expected, the cars have ditched the 4.0-liter twin-turbocharged V-8 of the previous generation in favor of a 2.9-liter twin-turbo V-6. Despite the drop in cylinder count, peak output remains unchanged at 450 horsepower and 442 pound-feet of torque. In other markets, a 3.0-liter turbocharged V-6 diesel mill will be available in both cars. 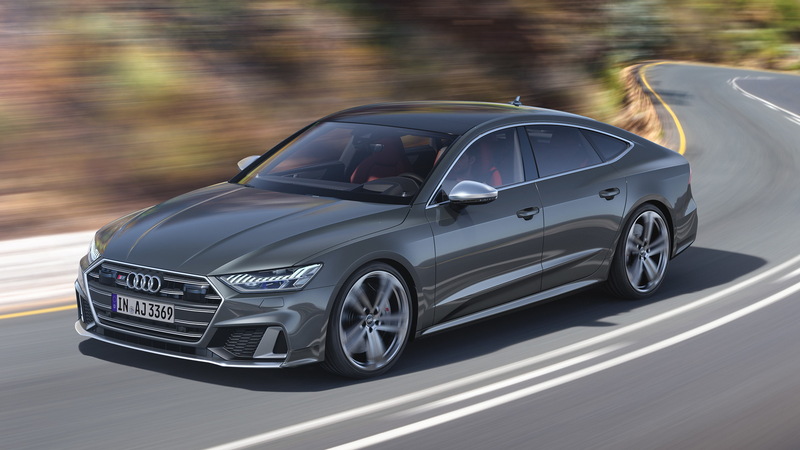 Some markets will also have the option of a wagon body style for the S6. 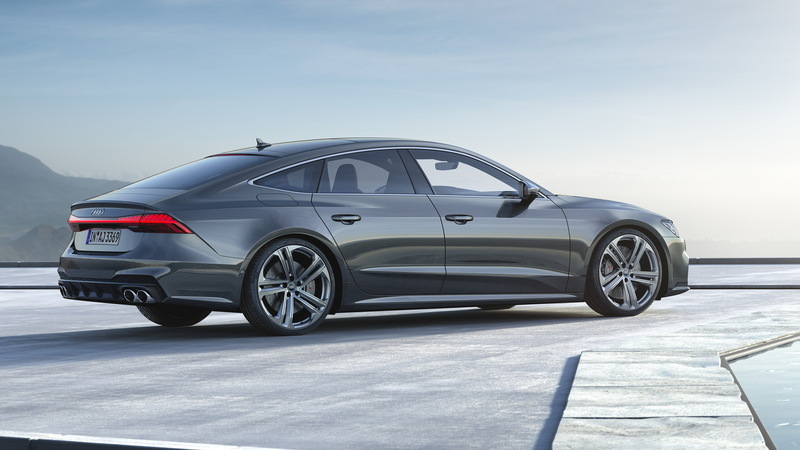 Audiphiles will recognize the 2.9-liter mill from the RS 5. However, response has been improved even further with the addition of an electric compressor. This sits in the air path downstream of the intercooler, close to the engine, and works like a supercharger or turbocharger. But because it relies on an electric motor (rated at 10 horsepower) to spin the compressor wheel and develop boost pressure, as opposed to an engine belt (supercharger) or exhaust gases (turbocharger) that require engine revs, the electric compressor is always ready to spool. 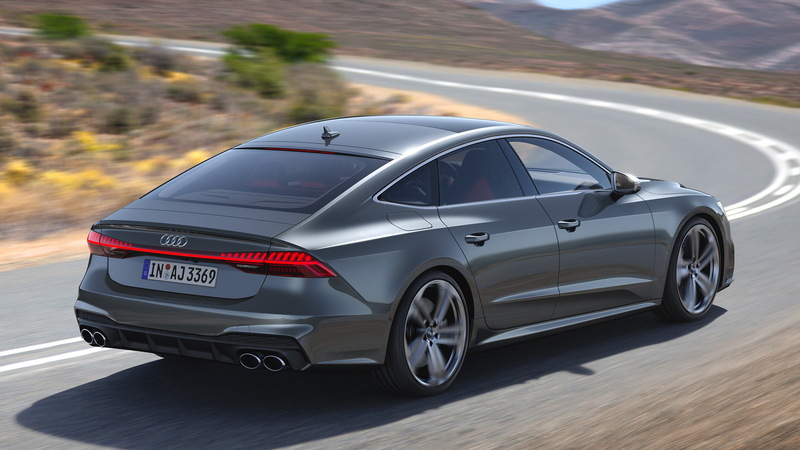 Audi claims boost comes in as little as 250 milliseconds. Power for the electric compressor comes from a 48-volt mild-hybrid system. This is essentially a belt-driven motor-generator that can recover energy under braking or coasting and store this as electricity in a small battery located in the trunk. The motor-generator also serves as the engine starter and can help during high-load situations. Forming the rest of the drivetrain is an 8-speed automatic and rear-biased all-wheel-drive system. The latter normally splits torque 40:60 front to rear but when required can send up to 70 percent to the front wheels and 85 percent to the rear. A sport differential can also be added to further split torque between the individual rear wheels. Also helping with the handling in the latest S models is four-wheel steering. Naturally, there's a sport-tuned chassis to complement the impressive drivetrain. The list includes speed-sensitive electronic power steering, lowered suspension (air suspension with adjustable dampers is available), and a powerful braking system with big 15.7-inch rotors with 6-piston calipers at the front axle and 13.8-inch rotors at the rear axle. Carbon-ceramic rotors can replace the standard steel units as an option. The standard wheels are a 20-inch set with 255/40-size tires while a 21-inch set is available. 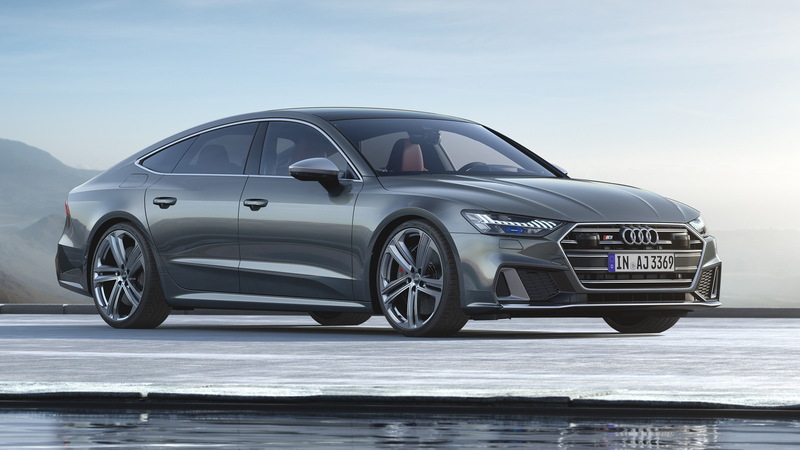 Availability of the latest S6 and S7 Sportback in the United States is yet to be announced but the cars should reach showrooms by late this year or early next. In other markets, sales will start this summer.